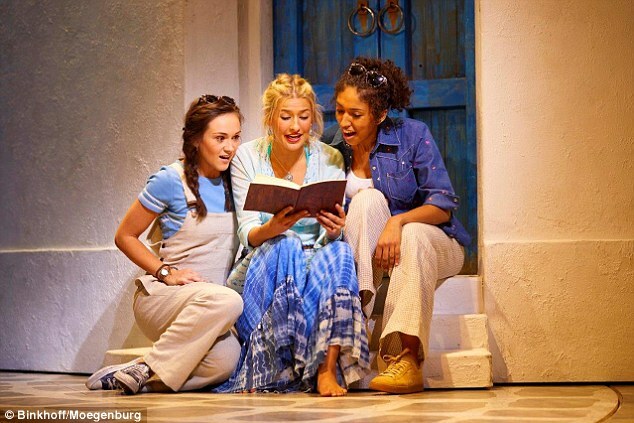 Georgina Castle is a real Super Trouper in the West End’s Mamma Mia! 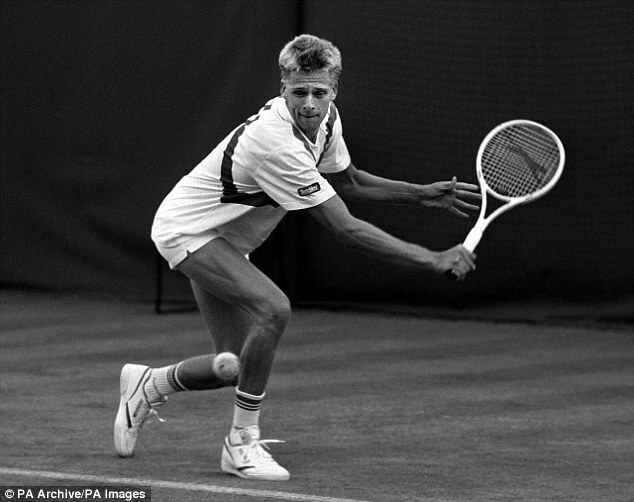 But Andrew Castle’s road to becoming one of the UK’s best known tennis players was not without its challenges. Now 53, the broadcaster and sports commentator is a former UK number one who reached the Australian Open mixed doubles final with Anne Hobbs in 1987. ‘At one point, when he was training in America, he was selling his blood to pay his rent. He knew I wasn’t choosing an easy road,’ says Georgina. In fact, her father’s warning was ‘the best bit of advice she’s never taken’, as Castle himself has admitted in interviews. Just a few years out of drama school, Georgina is on her way to becoming a darling of the West End stage, having taken over the lead role of Sophie Sheridan in Mamma Mia!. She auditioned ten times before landing the part as understudy and, last June, found herself being offered the main role. ‘My agent called me, and the phone signal is so bad in our house I almost had to hang out of the window to hear her. I was so excited I screamed,’ says Georgina. After Cinderella star Lily James – who plays the young Meryl Streep character in the forthcoming Mamma Mia! prequel movie – saw the show, she asked Georgina how she can ‘sing that loud every night’. It helps that Georgina adores her fellow cast members who feel like family. She has regular lunches with Sara Poyzer, who plays her mother Donna, and is friendly with the actors (Alasdair Harvey, Dugald Bruce-Lockhart and Richard Trinder) who play her potential fathers. Her father, mother Sophia, 50, and sister Claudia, 23, are often in the audience, and her Swedish-born maternal grandparents have been to support her, too. ‘I looked into the crowd one night and there was my 84-year-old grandfather dancing in the aisles. He was throwing shapes I’d never seen before. It was a big moment for them – they are huge Abba fans and we used to sing “Thank You For The Music” together as a family. And there is a sense that this was meant to be – because it was while watching the musical as an 11-year-old that Georgina decided she wanted to act. ‘I’d invited friends along to see the show for my birthday and I remember the actress who was playing Sophie singing “The Name of the Game” in a green top, and I knew then that I wanted to be her – that girl with the sparkly green top.’ Her parents, however, say it started much earlier. ‘Mum remembers us going to Wimbledon Theatre when I was four. We were early, and I climbed up to the upper circle and ran around the balcony looking down at the stage, and said to Mum, “I’m going to be there one day!”’ Georgina joined the local drama club near the family home in Clapham, Southwest London, and took singing lessons. At 15 she was approached to join a girl group in America but her parents said no. ‘They were so firm, it wasn’t even up for debate,’ she says. Instead she got a job singing for Disney, travelling to North London every weekend to record songs for a children’s computer game. Around the same time, she sang for David and Samantha Cameron at a charity event for Great Ormond Street Hospital. Super-agent Jonathan Shalit – who discovered Charlotte Church – was in the audience and when he heard her he declared that Georgina, too, had the voice of an angel. But her parents were determined she focus on schooling. ‘Dad said, “You can throw away your education afterwards,”’ she says. The approach worked. Georgina got straight-A GCSEs – despite ending up in hospital just days before her exams started. ‘Swine flu had hit my school, and I was asthmatic and had a chest infection, so they gave me a double dose of the Tamiflu drug which caused my lungs to collapse,’ she says. ‘The next thing I remember is waking up in hospital and everyone wearing space suits. I was in solitary confinement for three days – even Mum wasn’t allowed in.’ It transpired that she didn’t have swine flu, and Georgina admits that ‘it gave me a fright but my main concern was my GCSEs’. ‘Every night there’s a standing ovation and the crowd sings along – people seem to think it’s karaoke,’ says Georgina of musical Mamma Mia! Neither is Andrew afraid of standing up for himself. ‘For two years running he was the most fined tennis player on the tour,’ laughs Georgina. ‘He was fined for gross misconduct for swearing on court.’ Politically outspoken, on one occasion he walked on court and placed a placard by his chair saying ‘No to Poll Tax’. Mamma Mia! 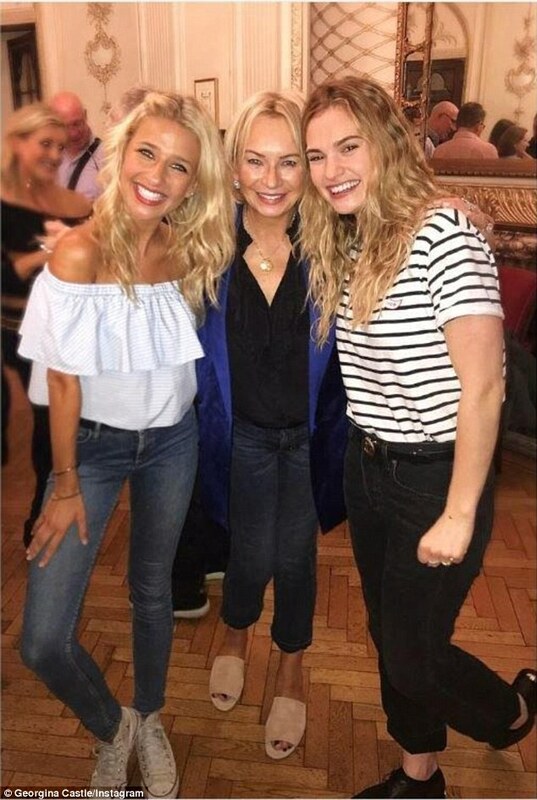 is Georgina’s second musical in the three years since her graduation (she played Lisa, the sister of heroine Baby, in the touring production of Dirty Dancing). It seems that being a Castle keeps her grounded. She still lives in the family home in Clapham along with her sister. ‘I left briefly to move in with a boyfriend but we broke up recently. We’d been together for five and a half years. It’s incredibly sad but sometimes it’s important to be by yourself,’ she says. ‘He reminds us to “meet with triumph and disaster and treat those two imposters just the same”. That’s the [Rudyard Kipling quotation] players see just before they walk on to Centre Court at Wimbledon,’ says Georgina. With that attitude and drive, you suspect her career is going to be a game, set and match. Styling: Alexandria Reid. Make-up: Afton Radojicic at Stella Creative Artists using Kiehl’s since 1851 Ultra Facial Range/Ultra Facial Cream. Hair: Nina Beckert at Carol Hayes using Bumble and Bumble.